 This readable biography of the 17th-century scientist and mathematician is long on politics and personality and short on science and math. Reston (Collision at Home plate, 1991) divides Galileo's life in three. Since there is no wealth of information on the developmental years and early career, they are handled quickly. Galileo's rise is given in greater detail, especially his search for patronage, his intense defense of his work in the face of religious and intellectual resistance, and his ridiculing counterattacks on plagiarists and intellectual thieves. Reston assumes we know Galileo's achievements in the sciences and so spends little time on them. 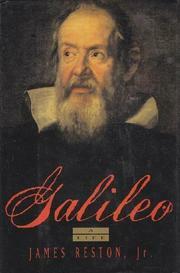 Instead, he builds the biography around two aspects of Galileo's character. The first is his political instincts, which on the one hand led to a fawning attitude to secular and ecclesiastical patrons, and on the other to a powerful use of his pen in attacking intellectual opponents without regard to political implications. The second trait Reston focuses on is Galileo's intellectual self-assurance, which kept him from understanding the anti-intellectual resistance to his work. These political implications come back to haunt Galileo, as the third part of the book shows in chronicling the scientist's fall. Reston devotes the major portion of his book to Galileo's trials. He creates a well-rounded portrait, convincing the reader to appreciate Galileo's mood swings, his intellectual arrogance, and his final capitulation as behavior to be expected from the man portrayed. He is as good exploring the politics of Counter- Reformation Italy and the anti-intellectualism of the conservative elements of the Church, and weaker on why and how Galileo's work was potentially heretical. He successfully portrays Galileo's world, with its colorful group of Renaissance Italians. Readily accessible, the book is an interesting character study and political biography of the great scientist.